From the smell of perfectly marinated and sizzling Porterhouse, to the intimate ambience of the restaurant’s solid walnut wood floors, or the welcoming demeanor of the General Manager, a meal at Wolfgang’s Steakhouse is always unforgettable. 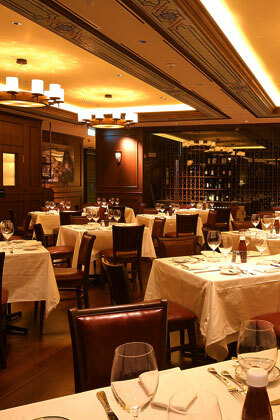 The original Wolfgang’s Steakhouse was opened on New York City’s Park Avenue in 2004. 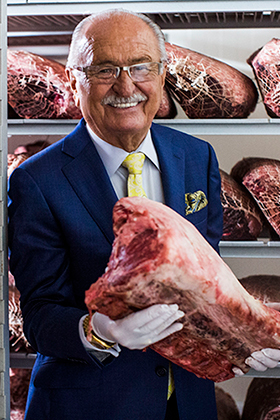 Following over 4 decades of experience in renowned New York steakhouses, Wolfgang Zwiener had learned his craft well, and drew upon his knowledge to create an exceptional steakhouse. The restaurant, known for serving only the finest quality USDA Prime Black Angus Beef, dry aged onsite for 28-days, went from strength to strength. Following the success of the initial establishment, there are now 19 Wolfgang’s Steakhouse’s globally. Each maintains the core principles from the original establishment, and is equipped with its own dry ageing room. It's not just the outstanding quality of the meat that makes Wolfgang’s Steakhouse so acclaimed, but the restaurant’s stylish decor and luxurious ambience too. Located inside the InterContinental Hotel on Robertson Quay, Wolfgang’s Steakhouse by Wolfgang Zwiener is the go-to place for steak in Singapore – booking ahead is strongly recommended.